May buy 1 for yourself and 1 additional as a gift. May use 1 per person. New students only. Classes expire 60 days from activation. Appointment required, 24 hour advance cancellation notice required or voucher may be forfeit. Valid only for option purchased. All goods or services must be used by the same person. Expires 2 months after purchase. See the terms that apply to all deals. Wasatch Ayurveda & Yoga Upstairs is dedicated to creating a place where anyone can go, regardless of income, to find rest and peace in body and mind. 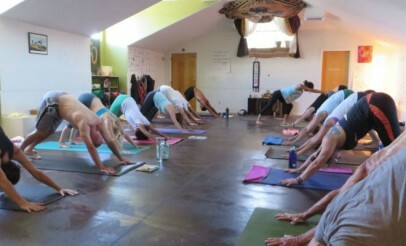 They offer many different types of yoga for all ages, body types, and skill levels. For a complete list of classes, click here. To see the class schedule, click here.